It’s been two years since Hasbro revealed their Marvel Legends Rescue figure, their first figure based on Pepper Pott’s armored persona. But then it promptly vanished, never made for sale and leaving fans expecting that Rescue was gone forever. But rejoice! The figure is making a comeback... but it’ll be pricey to get. Rescue looked awesome when she was announced—right down to the fact that you got an alternate head of Pepper to use instead of the helmet, and also because finally, they were doing a cool Pepper Potts figure. 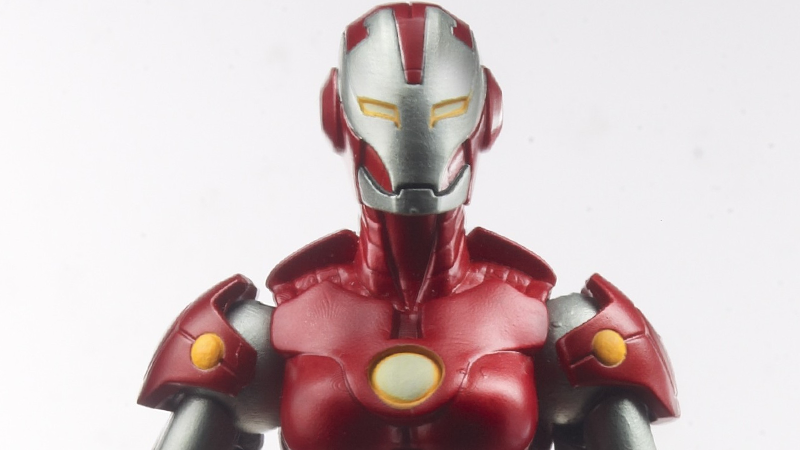 I mean, it took Hot Toys years to finally get round to doing a Pepper based on the Iron Man movies. There’s not nearly enough Pepper love in figure form! So while I’m glad she’s finally being released, I’m slightly less glad at how you get it. Yes, Rescue is now available, but only as part of the “Plus” membership of Marvel Unlimited, Marvel Comics’ digital comics service. For $69 a year, Unlimited gives you access to 17,000+ Marvel Comics digitally across your devices, the vast archive of classic comics and relatively recent ones being added to on a constant basis. It’s a great bundle of stuff for a pretty spectacular service. I just wish the only way to get this cool figure fans have been waiting for over the last few years wasn’t to drop $100 on it. If you’re interested in signing up for the new reward box, you can head over to Marvel’s website now.